"The only tool that really helps me to understand my users"
"Full insight into the customer journey "
I love the ability to see how my customer is reacting to my site. We can make sure are UI is as intended and we can easily see if new features on our site are impacting the customer journey. I also love their ability to detect when users on our site are frustrated and we can check out what happened. No issues to gripe about thus far on their tool. It does take a lot of time to watch each user journey, but the insight gained is worth it. Their team is great to work with and their product is very fun to use. Would recommend this to any professional wanting more insight into how visitors are using their site. We use Fullstory to see how users are interacting with new marketing content (such as blog, case studies etc) and to test the UI of our website. The best part of FullStory is the Proactive Care Huggers. Any user can poke around the tool and figure out some basic elements like session replay, but the Huggers drive success. From API integrations to walking through the more complex (and amazingly helpful) features, the Huggers truly are the best part of FullStory. A small feature: I would love to be able to isolate stories by times of day, not just by day. I would also love an easier way to scroll through stories, instead of relying on seeing 25 at a time. The ability to see customers using your product is invaluable. Even if you only use the session replay aspect, obtaining real data quickly and easily will help you develop your products better. We have multiple teams that use FullStory for various reasons. One team uses rage clicks to find Customer errors. Another team focuses on payment errors (they are FullStory novices at the moment). My team, lead by me, is integrating APIs to find the same customer who uses their mobile device then later uses another device. Overall, we are using different aspects of FullStory to alleviate customer pain points, to obtain information about best design practices and to further iterate on our products. "Great way to know how your customers are using Breezy + Issue Trouble Shooting"
You can easily go into a user's profile, view, and annotate their recording. Super simple to find each user and lots of filtering options. You can also identify customers who 'rage click' so you can reach out to them to prevent churn and retain users. When/If you hit your limit for sessions in a month, they stop recording sessions until you upgrade or the next month starts. Even if you upgrade during that month, from the time it goes over the limit until you upgrade, all those users that were recorded are not saved and and then shown. Very frustrating that they can't just prevent you from watching until you upgrade. Great product to use, take a look at pricing since the more users/sessions you have the higher the price gets, and it can rise quickly. Strong value to have, so just a good FYI to understand when setting your budget. Use Fullstory to see how users are onboarding to help increase conversion rates. Also use Fullstory to help trouble shoot users when they are having an issue or bug. We can look into what they did and either correct their actions or use to identify a bug and provide the link of the user's actions to our dev team. "Little too expensive for what it has to offer"
Ability to see how website visitors are browsing the website, understanding the browsing patterns, where visitors are spending more time and where visitors are spending less time. There are cheaper versions available - do take a look at inspectlet, mousestats, zarget. "Great insights once you know where to look"
Being able to see how the individual user actually interacts with your site in incredibly valuable and FullStory does this really well. I really like their rage-click feature, which shows users who click many times in the same place, suggesting that something is broken, not as the user understands it or at the very least very slow. The platform is very simple which, in my mind, is a positive and a negative at the same time. The simplicity of the platform is also its disadvantage. Once an issue has been identified, you are pretty much left on your own. There is typically not much information to go on and is can be very hard to reproduce error that we see our users experience. It would have been nice to see what goes on in the code as the user experiences problems on our site. We also utilize a people based analytics solution and it would be nice for the two to integrate so that we could go deeper in the data and the users experiencing problems. Understand if you only need to view the user sessions or if you need to be able to go deeper into the data. We need to see how real users actually interact with our site and app. We use it both on our marketing team and product team to evaluate the functionality and performance of our online assets and it does so fairly well. FullStory has been essential for helping us monitor our trialer journey and improve our conversion rate. It's not 100% perfect when capturing data, but it gets it right much more often than not. You also want to be weary of how much data you're sending depending on trialer volume. If you pull too much, it may slow down the performance of your app. Do their trial. It's free, fairly easy for your dev team to set up, and you'll get plenty of valuable data for free. Understanding the trialer journey and increasing conversion rate. We have a much better understanding of what our trialers are doing in the first few minutes of their trial and are making product improvements as a result. "Comprehensive, transparent view of client activity in one tool"
The search algorithm is effective in being able to search by email, which I always found to be confusing and inaccurate in other tools (like Pendo) that were also made to keep tabs on client activity. What is most important is the ability to see, in full form, how our clients are using our platform and identify holes/opportunities to improve their usage. When searching for client activity, you do have to change the date range for which you're searching in order to find clients outside of that date range. Might be helpful to have the database simply search all date ranges by default, which can be narrowed down once you identify the clients for whom you're searching. This tool has been invaluable in helping me recognize how my clients are using our tool and how to really shift our outreach that is more customized to their needs. I like how easy it is to watch sessions. I also like that I can copy the session URL and share it with my team. Sometimes I have a hard time finding a user or specific session. Sometime I have to try searching for a user several different ways before I can find their session, when it should have come up with the first thing I searched. Keep in mind that this product isn't perfect yet, but it's definitely worth trying out. I believe that this product is only going to get better. It's a great tool! Some customers will say something happened without providing necessary details. FullStory allows us to watch exactly what happened for the clearest representation of the situation. "Such great software for helping resolve user interface issues"
I used this as a support agent to get a visual on how a customer may have been using the interface. When they would write in with a vague issue I could look into it with Fullstory and see the steps taken, reproduce them and give the user a way out. Sometimes it could get finicky on the install and what it would display. I feel like this was more our fault than anything but it was never clear why something like this would have happened or what would change. That was the only thing I can think of when it comes to the problems of the platform. It just worked really well. There are a couple of other pieces of software out there that I used but this one was the best that I came across. It might take some time to fully understand all the rich features but it worked so well for everything we wanted. It was use cases for product and engineering. We also used it in support for an understanding of the users steps in order to reproduce an issue. We could track events, see where people got hung up. Almost live view something while on a call for a customer and even see console errors. "UX, Bugs, and Time Saved! " FullStory offers a beefy dashboard with a number of amazing tools. For us, the bugs and dev tools have been instrumental in solving problems. Our users have now become our QA testers and some of the bugs we knew about, but could never replicate have a log of what was happening live and in color! The ability to watch our users go through our site is helpful enough, but adding in the dev tools and console logging has been clutch. We have found a number of bugs that are quick fixes but impact user experience. Sometimes scrolling can be construed as a dead click, but after watching the videos you can easily pin point them out. Bugs can be real bugs or errors dealing with the users system.. such as the dreaded IE browser. So bug reports have to be sifted through some, however that sifting can lead to bigger more significant finds that impact UX and revenue. Our problems stem with the high number of users, and having FS on a site can rack up the sessions quickly. With the high number of traffic users we have, it can be difficult to sift through all the sessions, but we tend to focus on the bugs, rage clicks, and dead click areas. "The free version is incredibly helpful"
It's easy to quickly see how people use your site, and make design changes based on those patterns. Especially for a simple, personal website, it's miles better than Google Analytics because it provides actual session playback. As far as usability, nothing comes to mind. But it would be nice to have a lower-cost option than the $299/mo. I'm using this for a personal portfolio site, not a business, so I just can't afford the current subscription options. It's an amazing tool that you'd be crazy to ignore. Especially the free version. I am trying to make sure that the people viewing my site look at every project, and don't get confuses with the navigation and layout. I learned that I had a few links that weren't being clicked very often because of their placement, so I was able to modify my layout to keep user engaged. "This has changed how we do customer research and prioritize enhancements"
It's just amazing to me that we can watch our customers using our software. It gives a much better view of their behavior than sitting next to them since they don't really know that someone is watching. The filtering capabilities are really good and I love that I can click on a specific button or link and see all the people who clicked that. Watching the Full Story videos is a really good downtime activity and last year during late December when the office was pretty slow, it was a great way to effectively use my time. I'm not sure if it's my company firewall or some other issue, but I can't easily bring it up on a conference room computer even if I log in under my name. The display is weird and you can't view the screen correctly. We have made much better software by identifying workflows that are awkward and buttons that users can't find. We have also found some bugs that users hadn't contacted us about. We've resolved some customer disputes by looking up their session and viewing what they did. This also led to "Oh no wonder they misunderstood or thought they did something else, that was confusing" and enhancements afterward. After using Analytics to understand high-level patterns, Session Replay helps to understand why customers are performing certain behaviors. Why are they having success or why are they failing? It's an invaluable tool. I wish that I could export data from a search and have the export include a column that denotes the date (or another attribute) of what I just queried. Understanding the "why" behind the "what" of analytics. High-level macro tools can only help you so much, but a tool like FullStory actively helps my teammates and me to figure out product improvements so much quicker and easier. I liked the playback functionalities rendering which is more accurate than hotjars. Dropdown do not render well though. If playback is your primary concern I would choose Hotjar or any of the others. I do however believe this product might be valueable if they just step up since the ideas behind are interesting. I hoped to get a better view but I do not really trust the product due to all of their bugs. "Easy to use and very effective software for understanding your Customers"
Intuitive. Simple. Powerful. Overall, I really enjoy using FullStory -- it provides great insight into our Customers to better understand their pain points or how they're using our software. There is almost too much data sometimes -- a good problem to have, but sometimes overkill. Rage Clicks are very powerful and help understand where there might be pain points in your application -- very powerful. Also, leveraging Location to understand where your Customers are location is very helpful. Understanding how our Customers are using our software and where they are using it from (Location). The ease at which I can assist customers with things they may not be able to explain. This is so helpful when doing live chat for an e-commerce company. It's also very helpful in confirming that the website functions as it's supposed to on the customer's end. The website can be a little slow at times, and this is probably due to the large amount of information that's available. So whenever I load full story up I'm very patient in giving it time to fully load. Full story is an excellent resource that you cannot miss out on in e-commerce! I highly recommend getting this tool for employees on your team. Often times we have a need to provide our customers with proof that certain information was displayed to them, and this helps us to provide them with that information. We've realized that this is an excellent tool for assisting customers over live chat. "Don't be a Fool! know the whole story"
I can literally know what happened, or is happenING in real time. It allows me to truly know what went wrong in a Customer's shopping session and not have to rely on their perception of a problem. Customer Service issues both during real-time calls, and to assess and "bucket Customer Surveys. We can also know what bugs need more work or a higher level of priority. "Invaluable Product for Our Team"
Not only is the product easy to use but their support is among the best. I had a rather technical issue and they escalated it appropriately and kept me laughing throughout their emails. I also always look forward to their newsletters. It's a product for product managers so of course there are going to be features and ideas I wish it had. It is impressive how often they do roll out new features and they are always very responsive when we send feedback in. As a product manager, nothing is more important than knowing how your product is used. Fullstory gives me unparalleled access into that world. If I'm improving a feature in the near future, I can narrow in on the clients currently using it and watch how they interact with it. Talking to clients is one thing but watching them individually and as a whole changed the game for us. "Understand your users' behavior with Fullstory"
Fullstory is a great tool that gives you insights into your users' behavior on your site. It records a user's session so you can see exactly what a user is doing on your site - where they click, where they get stuck, where they abandon etc. You can pause at any time and speed up if a user stops browsing. Sometimes sessions load a bit slow and when you click the back button, Fullstory automatically skips back to the overview of all users. This makes it hard to remember which user we were just looking at. We are using Fullstory to better understand how our users are using our website, e.g. where they click, how fast they scroll down a page, when and where they leave our site and where they convert. "This tool changes my job for the better." Sometimes it can be difficult to know whether an issue is related to the product or simply user error. Fullstory allows me to get to the crux of the problem sooner than ever. The insights are unmatchable. I haven't had many issues with Fullstory - we do have a lot of data redacted through the tool, but I understand this is related to privacy considerations so I wouldn't necessarily consider this a negative. Identifying product issues, client questions and workflows, quickly resolving issues for clients and helping guide their use of the product. "Irreplaceable Feedback Tool to Find Customer Pain Points and Areas for Improvement"
Well organized and easy to pinpoint customer problems quickly. The amount of time it can take to watch lots of video. Finding usability issues and areas of improvement in our software. This software has reinforced some of what we already knew (good for getting traction on items) and also shown new, in your face obvious things that we just overlooked because we know our own product too well. It has helped us do real time 'usability testing' without organizing specific testing rounds. "The full story on FullStory"
Segmentation is straightforward, as well as the ability to share session playbacks in the tool with other users. You can also write notes to describe what they do in their session, which is handy if you're trying to explain why you shared it. A dedicated "Mobile" section is also useful for us, as we get a fair whack of traffic from smartphones/tablets. The tool gives you everything, which is great - but you then have to spend a lot of time trying to filter that down to get meaningful sessions that you actually want to watch. I'm not sure "Rage Clicks" are that well defined, because a user can click something multiple times for other reasons than being annoyed with the experience. I'd have a play around with it to see if you're comfortable with the interface - most of what you're after is there, but sometimes it's not very obvious how you go about doing it (e.g. creating a segment). It's great for when we launch new features and we can see how users are slipping up in the process and why it's happening. It also works well in resolving feature/pain point disputes - if you've got actual video proof of users struggling with an experience, it can really add a lot of credibility to your argument. "Great product for understanding Customer Behavior / User Exp / Debugging bugs"
Fullstory provides great insight into how your customers are experiencing your UI as they use the product. It is also a great debugging tool to identify bugs your customers have encountered. Provide more "out of the box" click stream analytics. Great "multi-functional" Swiss Army knife for your Support, UX, QA and debugging needs. 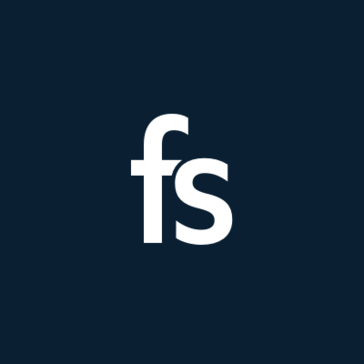 Fullstory solves multiple issues - Great support tool to see how customers are using your product, great user experience analysis tool, ability for developers to reproduce complex workflows so that they can replicate bugs the customers have encountered. I enjoy being able to use the site to verify visitor activity when a customer says they experienced an issue on our site. It is so helpful when I am unable to recreate their action to get the same result they did. We do not have to do this very often, but it helps when customers file chargebacks or make false claims. I also like how easy it is to use the site. All I have to do is log in and search for users by email address! There are many other search filters, but the information I'm looking for is not as difficult to find as it could be. It is good to know that if I need to dig deep for some very specific details, I have the ability to do so! I have been using FullStory for a few months, and lately it has not been pulling up accounts like it used to. More often than not, after typing an email or name and using different search filters I will not get any results. This is a bit frustrating as I have not been able to find the information I need sometimes, but I have faith in the service and their ability to fix this in the near future! When customers purchase Final Sale items and say they never added it to their cart, we can ask for their permission to check their activity on the site and this will help us provide the most accurate information to further help their situation. "See exactly how people use your product!" Not everyone has a perfect memory. It's one thing to shadow a user as you look over their shoulder but your observation alone affects how they perform the task. The best insight a Product Manager can get is by replaying exactly what their users do when they use your product and FullStory allows me to do just that. It doesn't work with WebGL yet (or not well anyway). One of the products I work on uses WebGL extensively and I'm unable to see how my users use it. It's easy to use, allows you to see what your users are going through, and shows you were your users are having the most issues and the devtools allow you to see if there are any bugs. Running out of sessions so we can't use full story. If you have a website, you should try Full Story. It is 100% worth the money and you will be surprised what you find. We have online forms and can see where users are getting stuck from UX or a bug. Seeing the visuals of users as they click through your site was huge for my business. It really helps for qualitative and behavioral research on top of your google analytics. I used a chat feature with the site that was a third party. It would have been great to chat with users as I could see them going through the site. Some kind of integration would have even sufficed. Definitely use it if you have an ecommerce site. It helped us get a better understanding of what our users were doing after reaching the site and (most importantly) where they were confused. By doing this we were not only able to optimized conversions but also better understand the effectiveness of our digital advertising and customer segments. User testing and web site optimization. It helped a lot while we were finishing up our design of the site. "No More Wizard of Oz Behind the Curtain"
FullStory gives me clear visibility into how customers are using our product. Data can only get you so far, but observing how a real user uses and adopts your product is incredible into adding the art behind product development. Very little I do dislike. If anything, I'm confident they could amp up their email reporting and digests. Give them a try and you won't go anywhere else. Customer success, product development, and QA testing. Benefits include saving us extraordinary amounts of back and forth to find the insight into how or why. "Essential tool for anyone building a web based software product." It records everything making it easy for us to get down to a UX problem, support issue or sales opportunity. User testing and evaluating support issues for customers. "Great for launching a new website or product"
I am admittedly not a power user of Fullstory. What I like best about it is how easy it is to watch a session in your preferred way. You can skip inactivity and you can watch in 2x, 4x, etc. . It has a lot of potential to be great. In our case, we don't have a ton of time to watch each and every Fullstory session. I don't like that there's no way to aggregate data so they're more meaningful. I like a top-down approach to evaluating customer experiences (think where people are spending the most time, etc) instead of watching each and every video and coming up with my own thoughts on what trends are coming up. The best way to see how well a site is working is to put it out in the wild. Fullstory enables us to see bugs and fix them quickly. This is very important to us when launching a new site/product. This almost trumps user testing in some ways. "Amazing product which should be running on every single customer-facing website and application." FullStory gives unparalleled visibility into the user experience on a website. Marketing/Product/Tech has always struggled with figuring out where the issues users experience are - no longer. With FullStory I can watch real user experiences on our website to see where they struggle, where they encounter bugs, and where we can improve things. There are occasional video/code bugs where we see visual issues in the FullStory videos which aren't actual problems. Use fullstory! but be wary that there are still visual bugs, so there are times when you'll see a user having issues/seeing a terrible UX which don't really exist. Improving user experience! Eliminating code bugs! Improving customer conversion rates. I can't say enough good stuff, while it's still an immature product, everyone should be using it. The ability to see exactly how clients interact with our app is an awesome insight for us to build better navigation and functionality to solve problems we didn't forsee or plan for. Sometimes the UI of our customer's browser doesn't come through (particularly IE users) so we can see exactly what they're seeing, which can be misleading to issues that 'seem' to exist. Make it easier to segment users based on different activity metrics as well as improve the actual viewing experience to reflect what the customer sees. We've loved the direct insight into types of users and larger issues that persist across user experiences that would otherwise go unnoticed. I love being able to see *exactly* what a customer was doing within their account prior to reaching out for support; it offers great insight and let's us learn a bit more about the user before even exchanging words! Haven't found any reasons to complain yet! Not only is the product superb, the folks supporting it are topnotch! I use FullStory to debug customer issues -- for example, if they write in saying something's askew with our system, look at everything they were doing and determine if it's a system or human error. "The best way to see what's really happening with users"
Debugging. Sometimes bugs are hard to find, and sometimes bugs are hard to re-create. Being able to see exactly what a user did allows you to have a clear path of recreating many of them. "Awesome way to dig deeper into user issues quickly "
That I can very clearly see what our users were doing to dive into an issue or error. It tells me all of the essential details my team needs to solve a problem fast, and you can even slow the experience down or speed it up to get to an issue quickly. I dislike that it's difficult to navigate through the steps of a particular session. If a session was 30+ minutes, it can take the team quite a long time to click through or sit there and watch the activity happen to find a specific instance they are looking for. The ability to see an issue our customer faces and dig deeper into specific back-end reasons or interface reasons why this has happened. Prevents us from having to ask our customers for screenshots, or screenshare instances, allows us to get to the root of a problem quickly. "Adding new ways to understand the customer experience"
There's not much I dislike about using it. Sometimes search can be a bit nuanced to get to exactly what you want. Being able to more easily push in an array of feature flags would be nice. We use it both for product experience and customer success. For product, it helps give another dimension of understanding that you cant get through traditional user research sessions. It also makes it easy to go through hundreds of sessions and find specific areas of interest quickly. For customer success it's very helpful to see exactly what the user went through when they ask for help with a workflow or bug. "Amazing tool to see how your customers interact"
Simple to search, easy playback modes, can sort by company/individual/etc. The dashboard gets a little messy and trying to create multiple lists becomes a little cumbersome at times. It also can't pull from mapbox which makes it a little more difficult for us. We use this to track our clients in-app to see when and how much they are using the platform and to uncover problem areas in our platform. When you add new page to your site and need to know, whether UI is good or needs some improvement, there isn't better tool than FullStory. It allows to fix all the moves that customer makes on the page and helps you to fix the errors, if there are. Sometimes there are problems with recorded data. It allows us to find and fix the UI errors on new created or updated pages. If Google Analytics gives me the outline about what people are doing on my site, FullStory gives me the details. FullStory provides a ton of context for what all those visitors are doing. I'm able to get a sense for what parts of my UX is/isn't working very well and better see how people are engaging with my content. I feel like sometimes I am drowning in data. I can see trends, but I can also get sucked into a blackhole of session-watching. FullStory helps me optimize conversions and gives me insight into what is causing my users frustration. I love that it links directly to my Zendesk and so we can immediately see what happened with the customer. Very helpful when we are tying to figure out what they are complaining about. I don't have much that I dislike about this, I find it very useful. Great for both UX and for support. In the support team it helps us see what the customer sees and help us give better support without having to go back and ask the customer more questions, and then ask to see screen shots. For UX it helps us understand where we have issues on our website - we can see where there are rage clicks, where we have clicks that shouldn't be, and what is not clear on our website. "Great tool - must have if you want to know more about your customers"
I like the ability to track what customers are doing on my webpage/app, even in a live mode. Product is easy to use, I had no problems with it. Overall it gives a lot of useful information to use in each business. Pricing. Also, from time to time some sessions were not recorded for unknown reasons, or live mode was not working. It helps to generate a lot of insights on webpage and user experience. We made a lot of improvements to our processes thanks to the tool. Besides, it helps to solve customer problems for faster. "Great Insight Into Customer Behavior"
"great for learning what our ux is on our website and app"
Session recording capabilities and interface. The way that you can search for a specific set of videos and then be able to watch them in a series. Funnel creation. The way the search works to find sessions is very flexible. With that flexibility it also tends to be a bit complicated when quickly trying to find some funnel information. Understanding and debugging user errors. Validating hypothesis of tests and user interactions. "Fullstory is a must have tool for support and product teams"
Fullstory is a fantastic product for keeping an eye on how people are using my products on a daily basis. I'm still struggling with the new UI for searching for events or users, I was able to find results quicker in the old design. This tool has been fantastic for our Product Management & Customer Support teams to keep an eye on our clients. "Useful, if not entirely reliable, platform." Allows us to see real-time errors and UX issues within our platform. Determine your need for 100% up to date/live user sessions. If the need is great, maybe search elsewhere. "Fantastic way to better understand how your user's are using your app"
I have so much better insight and understanding on how our users are using our product. It is incredible how you can step into their shoes much easier just by watching them use it. Not just to improve ui/ux, but even also to debug an issue when a customer's only pointer is "Im trying and it's not working". Sometimes some user sessions dont show up. I am sure this is just beause of a user's particular setup / proactively blocking tracking software, so may not be much room here to improve. "Ability to see how your users use your product is invaluable "
Fullstory let's me see how clients use our Product. We can check the last time a client used our product and see what challenges they had and work on a plan to address them. * We monitor all FullStory reviews to prevent fraudulent reviews and keep review quality high. We do not post reviews by company employees or direct competitors. Validated reviews require the user to submit a screenshot of the product containing their user ID, in order to verify a user is an actual user of the product. Hi there! Are you looking to implement a solution like FullStory?